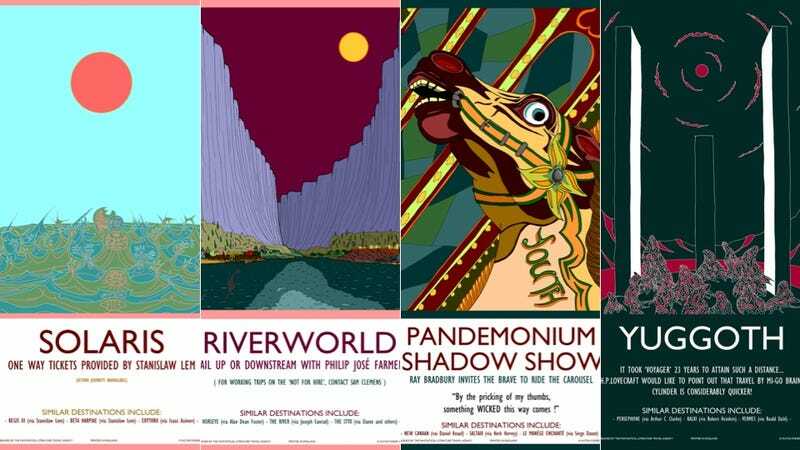 Autun Purser's brightly colored travel posters invite us to the usual science fiction and fantasy destinations like Arrakis and Barsoom, but he also reaches farther into the fantastical canon, dreaming of otherworldly vacations great and terrible. You can see all 40 Fantastic Travel Destinations on Purser's website, where you can also purchase prints, mugs, postcards, and books featuring the designs. It provides a quick visual trip to these realms of fantasy, and may add a few books to your reading list, helping you plan your next vacation of the mind. Which Real-Life Victorian Sub Inspired Jules Verne&apos;s Nautilus?